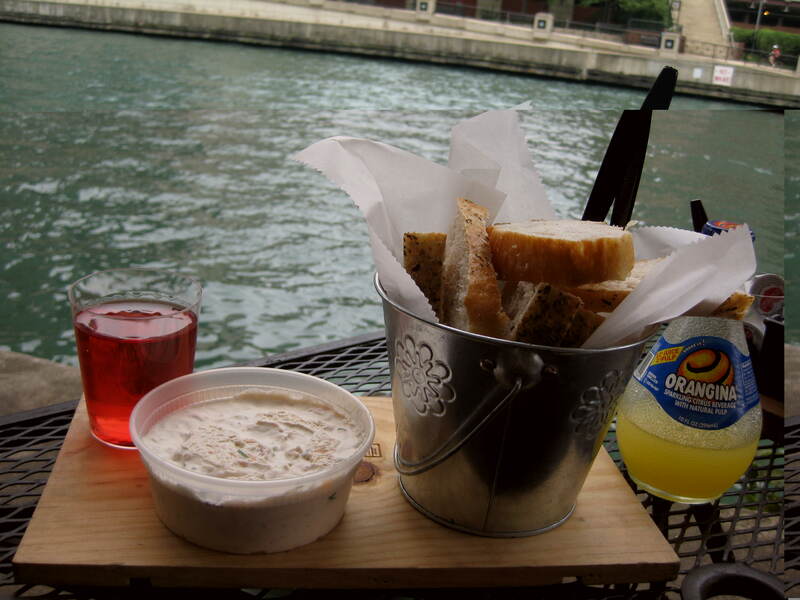 Chicago On My Mind – she eats. This time last week, Eric and I had just finished pounding the streets in Little Vietnam and Wrigleyville, and were headed back to our hotel along the Chicago River and the Magnificent Mile for some well-needed rest. It was the first vacation I’d taken in well over three years, and one of my favorite vacations to date. I couldn’t have asked for a better traveling companion than the always game, always enjoyable Eric and I couldn’t have asked for a better city than Chicago. It was my third visit to the city and — with five days to enjoy it — the best one yet. To go into detail about all the wonderful places we ate at while we were there would take at least a dozen different blog posts. Instead, here are some of the photos we took while we were there. 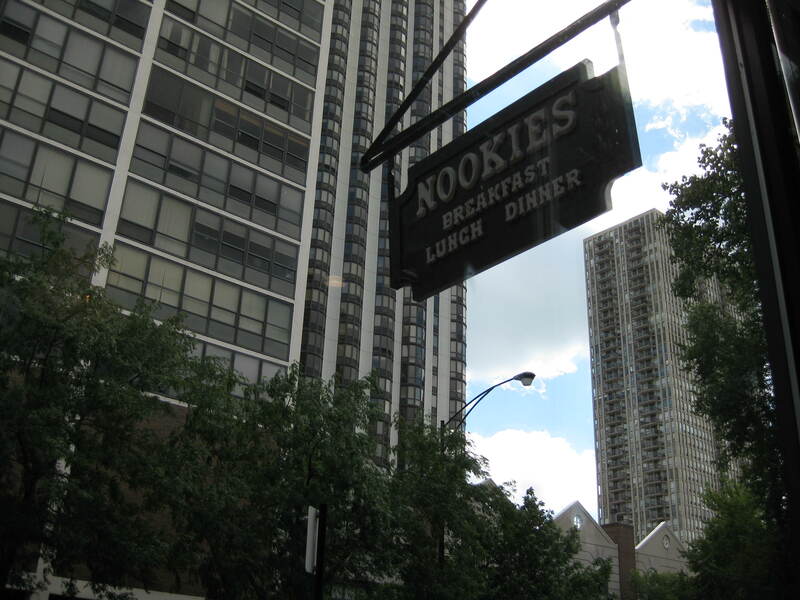 I’ll let this one post act as a dining scrapbook to look back at when I start to get vacation-sick for the City of Big Shoulders. 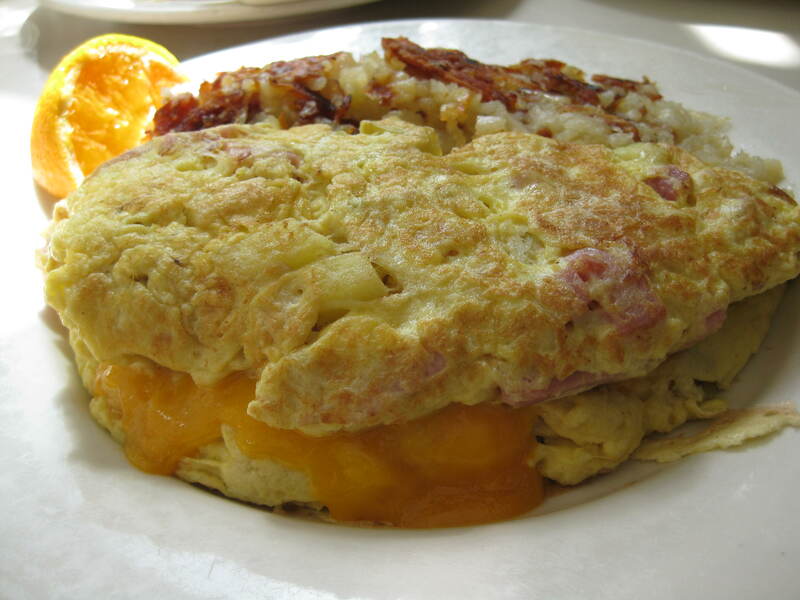 A "North of the Border" omelet with cheddar, apples and Canadian bacon from Nookie's. This adorable little cafe in Old Town is the epitome of a casual, neighborhood restaurant. We loved it. 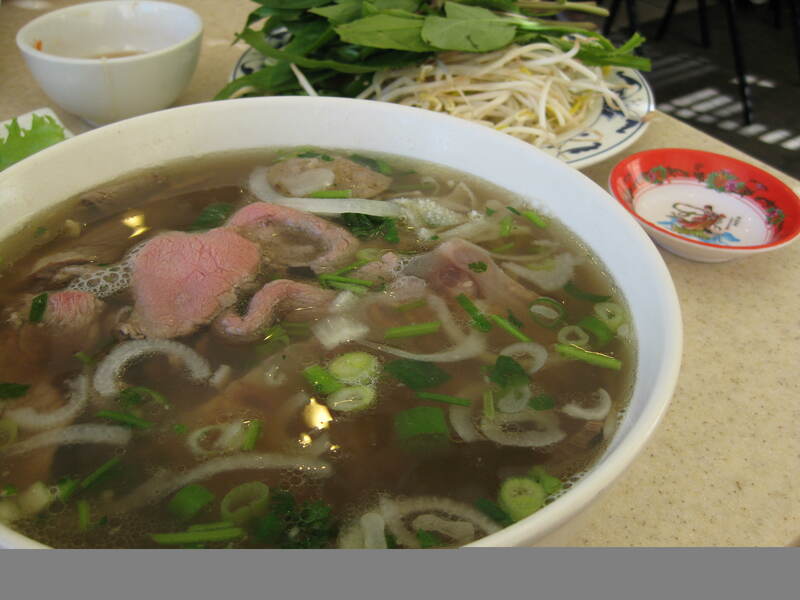 We tried pho in Little Vietnam at Pho Xe Tank for comparison purposes. Houston's is still better, although the clove-saturated broth here was a nice twist. 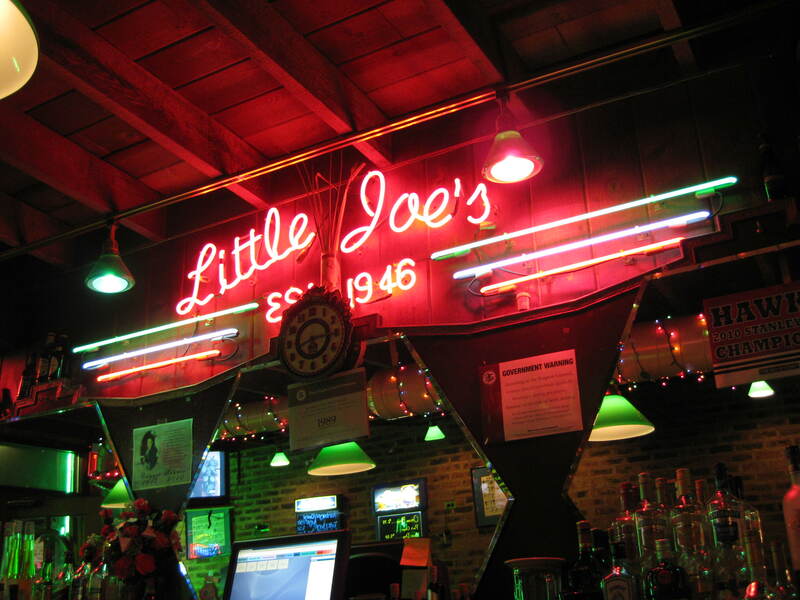 We stumbled into Little Joe's on Taylor in Little Italy more or less by accident. No mass-market beers on draft, a great girl behind the bar who knew her microbrews and a cozy, welcoming vibe. I'd kill for a place like this down the street from me. 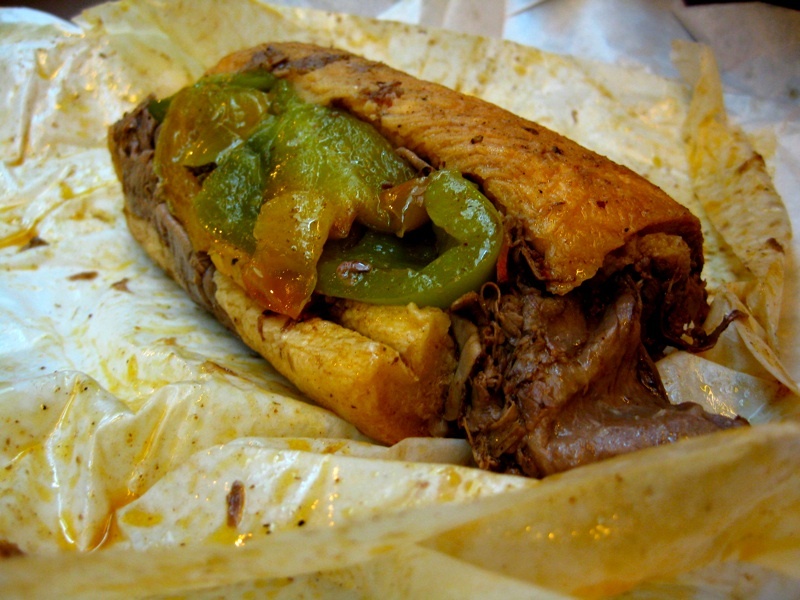 Afterwards, we walked down the block and grabbed an Italian beef (combo, with sausage) with cheese, dipped, at Al's. I kind of lost my mind eating this thing, it was so damn good. 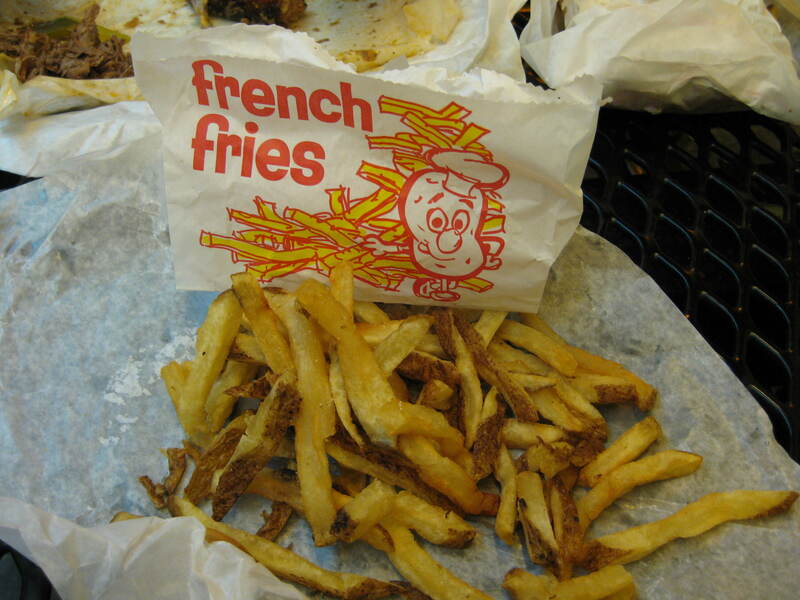 For his part, Eric enjoyed the twice-fried French fries and the bag they came in. 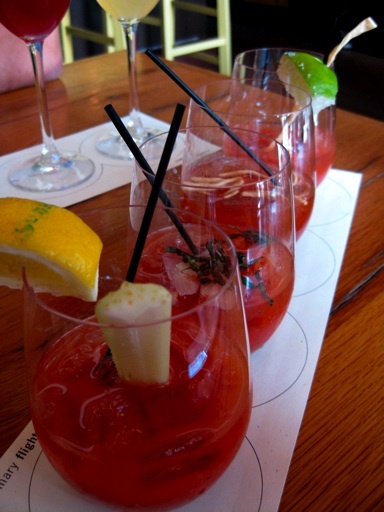 Sunday brunch at Bin in Wicker Park was our second best meal in Chicago, especially because of the inventive Bloody Mary and mimosa flights. 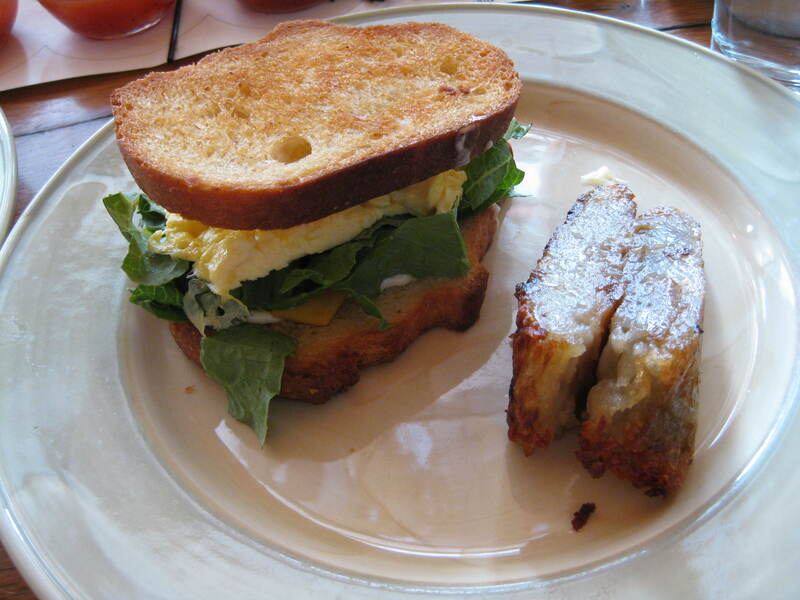 The food was also inventive: Eric's egg sandwich had lovely, peppery escarole on it and the hashbrowns had a layer of caramelized onions. 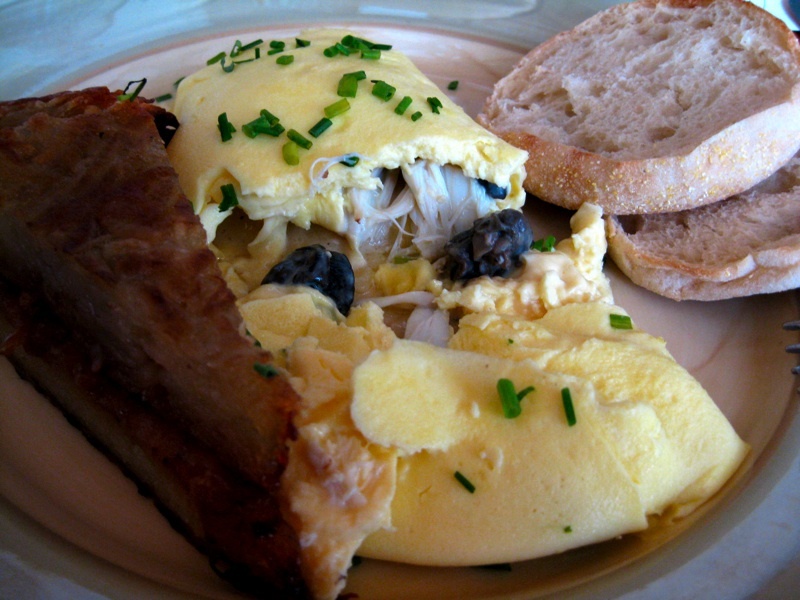 The omelet of the day was only $10 but came with fresh crab meat, escargot, Gouda and was cooked in truffle oil. I know it's overdone and slightly weary (thanks to the truffle oil), but I loved every bite. Waiting for the Chicago Architecture Foundation boat tour, we sucked it up and ate at a tourist trap along the Chicago River. 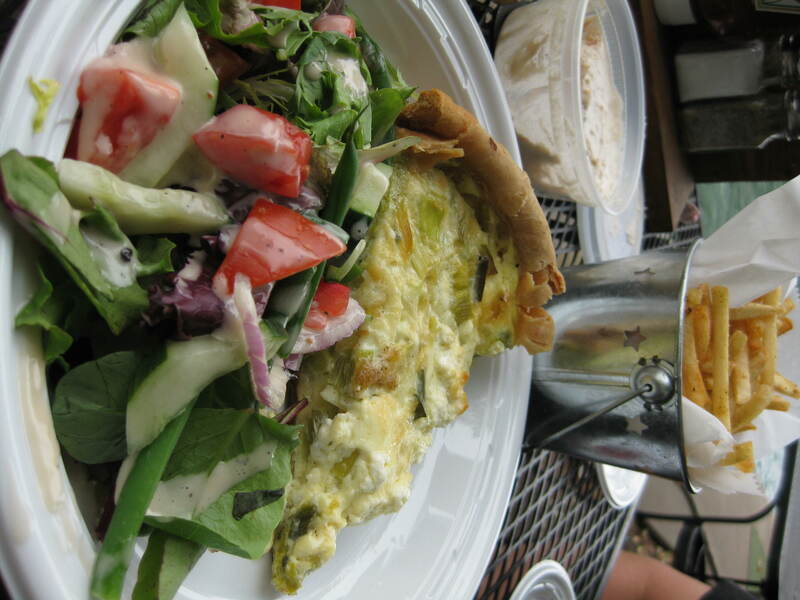 Despite that, the food at Cyrano's Bistrot was better than expected, especially the leek quiche and frites. 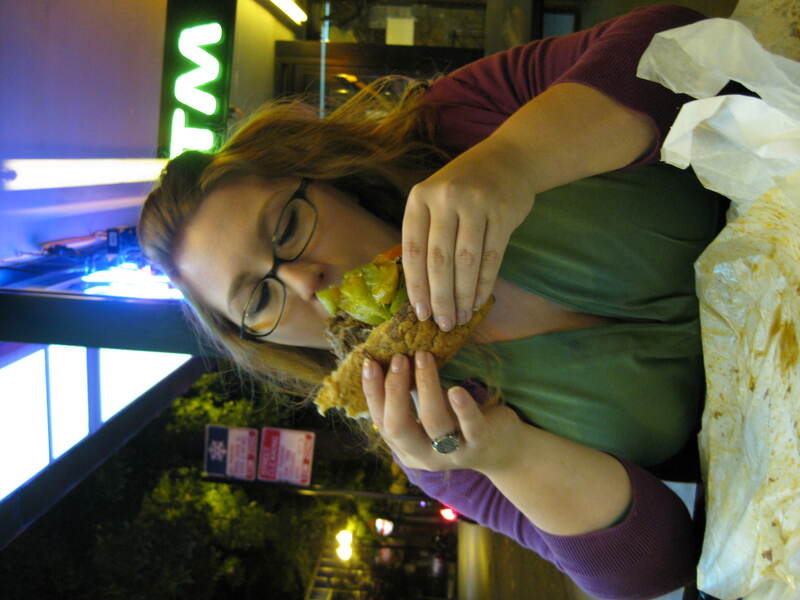 Our favorite meal was at The Purple Pig, both times we went. 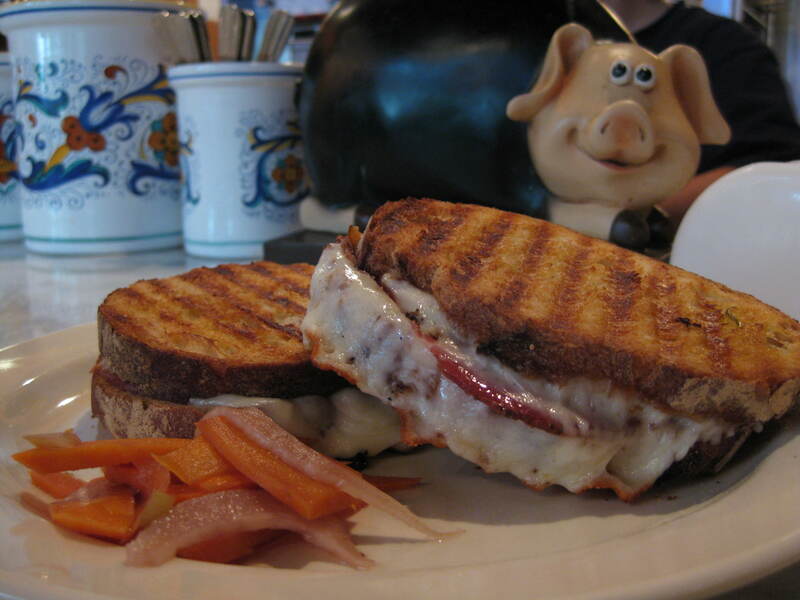 The coppa panini with Provolone, house-pickled peppers and whole grain mustard was an amazing $8. 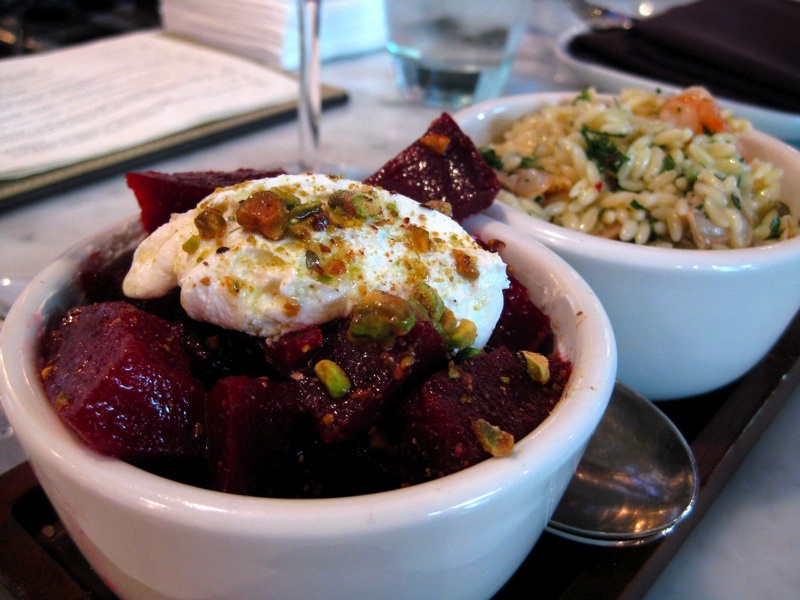 Salt-roasted beets with whipped goat cheese and pistachio vinaigrette were my favorite, while Eric preferred the shrimp and clams with rosamarina.